I have made this card for 2 sisters challenge . 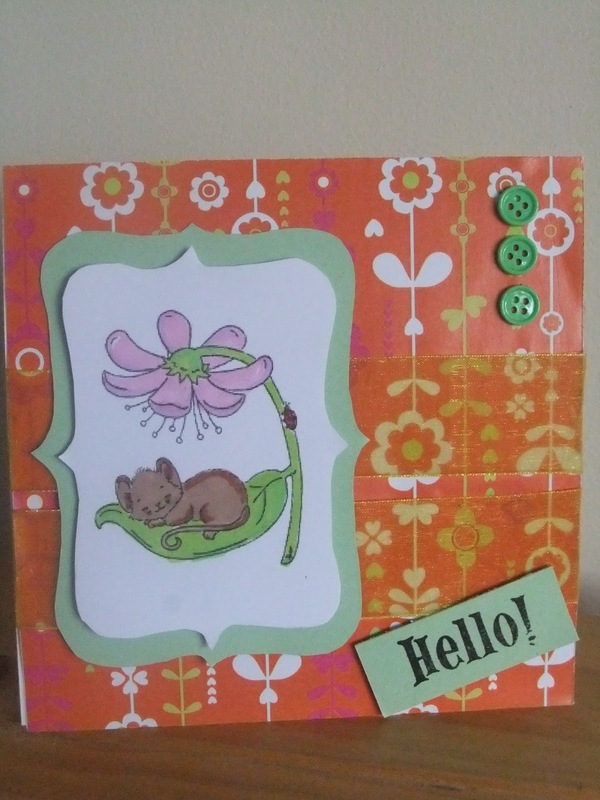 I have again used this free digital stamp of the cute mouse. I used two strips of organza ribbon, but it does show much in the picture.